A catalogue of defensive errors cost Bradford (Park Avenue) dearly as they were beaten 5-3 by Chester. The Blues hadn’t hosted anyone since early August due to stadium damage but marked their return to the Swansway Chester Stadium with an impressive win. Bradford headed into the game as one of the league’s most in-form sides and made a dream start. Jake Beesley accelerated down the left flank before squaring to Ben McKenna, who steered past Chester goalkeeper Grant Shenton to fire the visitors ahead. Chester, however, produced the perfect response when Anthony Dudley’s cross caused chaos in the box and allowed Dan Mooney to bundle home. The momentum shifted in Chester’s favour after the equaliser and Craig Mahon forced Steven Drench to palm a thunderous volley wide of the post. Dangerous forward Dudley, who had provided an assist for Chester’s leveller, etched his own name on to the scoresheet with a powerful header in the 11th minute after connecting with a superb delivery from Simon Grand. Both sides looked nervy in defence and looked to capitalise on each other’s defensive fragilities. Nicky Wroe darted forward before searching for Oli Johnson with a lofted pass but Steven Howson headed clear. Blues wingers Mahon and Mooney caused endless problems for the visitors and the latter was unlucky to see his powerful drive saved by Drench. Mahon then demonstrated some deft footwork to evade several challenges before finding Matty Hughes, who wriggled away from Nicky Wroe but struck into the clutches of Drench. Hughes continued to make intelligent runs and find pockets of space in and around the Bradford box but headed wide after connecting with an in-swinging cross from Dudley. Chester were eventually rewarded for their pressure when Mahon darted into the box before skipping past Nicky Clee and poking past Drench. A golden opportunity to pull a goal back was then handed to OIi Johnson on a plate, but he blazed over after Jake Beesley had rounded Shenton and squared to him. 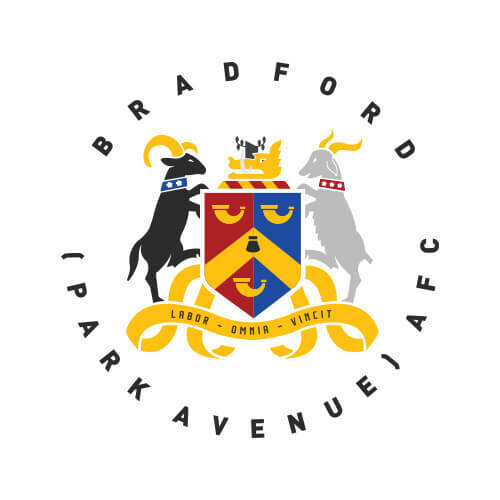 Beesley was the most lively of Bradford’s attacking contingent and spun past two Chester midfielders before threading through to Johnson once again. The forward’s cross, however, was diverted away from an on-rushing Ben McKenna by Jon Moran. With half-time looming, Bradford clawed one back as Shenton saved a strike from Johnson and Beesley stabbed the rebound into a vacated net. Chester’s lead was very nearly extended just four minutes after the restart, but Mooney dragged wide after the ball was worked to him in a swift counter-attack. Despite a spell of early pressure, it was Bradford that drew first blood in the second-half. A powerful header from Conor Branson was saved by Shenton but the goalkeeper pushed the ball into the path of Johnson, who tucked away. Chester came close to producing yet another quick response but Hughes’ curling effort struck the woodwork. Barely a minute later, the hearts of Chester supporters were in their mouths as Shenton was forced to pluck a Clee free-kick out of the top left-hand corner. The entertainment levels didn’t dwindle as the half progressed and Danny Lowe was forced to make a crucial block to deny Dudley after the forward embarked on a mazy run and pulled the trigger. Mahon then saw a drilled effort deflected wide and Grand’s looping header dropped over the crossbar as pressure mounted on Bradford. Chester regained their lead with fifteen minutes left on the clock through Mooney, who found the bottom corner with a composed finish after Mark Ross gifted possession away in a dangerous area. Debutant Luke Jordan was introduced in the 80th minute to stretch Bradford with his pace and delivered a cross with such venom that Drench lost grip on the ball. Fortunately, the goalkeeper recovered to pounce before Dudley could. Jordan then tangled with Branson in the box and the referee pointed to the spot. Dudley stepped up to convert the penalty and wrap up the three points for Chester. Chester: Shenton, Dominic Smalley, Grand, Burton (c), Moran, Howson, Mooney (Deane Smalley 80′), Stopforth, Dudley, Hughes (Pritchard), Mahon (Jordan 80′).